OXFORD, Miss. 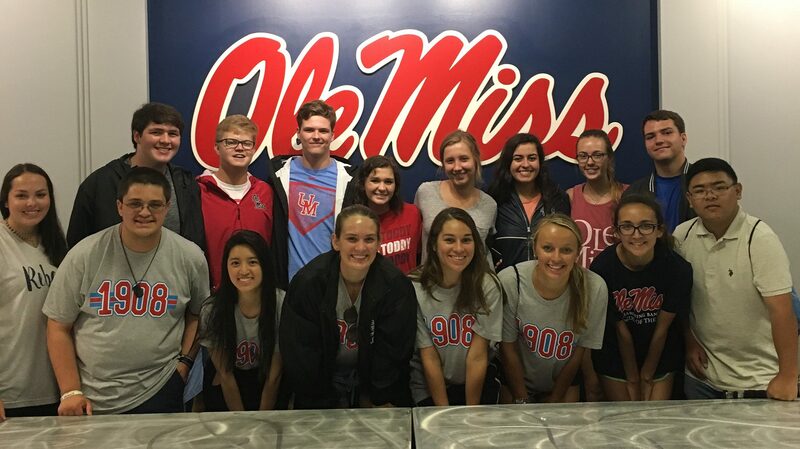 – The Early Entry program at the University of Mississippi School of Pharmacy has brought the best and brightest students to Oxford for more than 20 years. The makeup of the 2018 freshman pre-pharmacy class is no different. The well-rounded group of nearly 100 scholars and leaders earned nearly $2 million in scholarships to cover their next four years of undergraduate studies. The Early Entry program offers high school seniors early acceptance into the professional pharmacy program, allowing them to avoid the competitive pharmacy school application process that normally occurs during a pre-pharmacy major’s junior year of college. Acceptance into the program calls for exceptional academic ability along with service and leadership in their community. Students in the Early Entry class of 2025 received honors such as National Merit Scholarships and the university’s prestigious Robert M. Carrier Scholarship. Two of the seven UM freshmen awarded 2018 Stamps Foundation Scholarships are in the Early Entry program: Valerie Quach, of Austin, Texas; and Shahbaz Gul, of Oxford. Cameron Hammers, a native of Slidell, Louisiana, won a $10,000 Allstate Sugar Bowl Scholarship from the National Football Foundation and College Football Hall of Fame while Britney Ngo, originally from Ridgeland, was among four recipients of the Sally McDonnell Barksdale Honors College’s McDonnell-Barksdale Scholarship. In addition, many freshman Early Entry students are part of the Provost Scholars program, Honors College, Ole Miss Band, UM choral programs, Rebelette dance team and more. Before coming to Ole Miss, many of these students were student body and class officers, valedictorians, salutatorians and multisport athletes. The class also includes two Eagle Scouts. “These high-achieving students and the Early Entry classes that came before them are a huge part of the reason we have one of the nation’s premier pharmacy programs,” said Lindsey Cooper, admissions counselor for the Early Entry program. 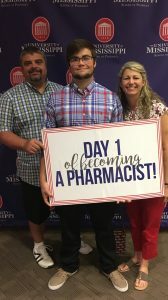 For more information about the Early Entry program, go to http://pharmacy.olemiss.edu/earlyentry/ or contact Cooper at lindsey@olemiss.edu.